There have been a large number of national polls conducted since the February 2016 General Election, and some clear patterns have emerged, which Insider believes will carry through to the next General Election, expected some time in 2019. The clearest pattern is the increased support levels for both Fine Gael and Fianna Fáil compared to their performances in the general election two years ago. Many commentators, and wishful thinkers on the left of the political spectrum, assumed the total vote for the two main parties was in terminal decline and each subsequent election would see a further reduction in their combined vote compared to the previous election. This has certainly been the case over Insider’s political lifetime, where the combined vote for Fine Gael and Fianna Fail has fallen from more than 80 per cent to its lowest ever figure of just under 50 per cent at the most recent election. Yet those hoping for the evolution of a more traditional left/right political divide, including a grand coalition of the two civil war parties, will be bitterly disappointed at the poll figures. The combined vote for FG and FF in almost all recent polls is of the order of 60 per cent. This is a significant increase on their combined vote of under 50 per cent in General Election 2016. The 2011 General Election was seminal in Irish political life. Fine Gael emerged as the largest party in the State, as the electorate vented its anger at Fianna Fáil, giving the party its lowest ever vote at a general election. In spite of the widespread anger, the electorate did not turn to smaller and more left wing parties in the numbers anticipated, as was happening in other EU member states. Indeed, almost three out of every four voters still opted for Fine Gael, Fianna Fáil, or Labour, a small reduction on their combined figure for the General Election of 2007. However, as the austerity measures introduced to ensure our economic recovery began to take hold, voters did look in greater numbers for alternatives to the traditional parties. From a figure of 73 per cent just five years earlier, the combined vote for FG, FF, and Labour dropped to just 56 per cent in February 2016. It was Labour in this election who took the brunt of the electorate’s anger, with a massive vote reduction from almost 20 per cent to under seven per cent of the total vote. Those who electorally benefited most from the recession were independents, smaller parties, and Sinn Féin. Their combined vote was now more than 40 per cent, and the future looked bright. As the economic recovery spreads throughout the State, voters are returning, slowly but surely, to the traditional parties, particularly Fine Gael and Fianna Fáil. It will come as a major shock if both these parties do not increase their votes at the next election compared to 2016, as the electorate abandon the smaller parties and Independents they have flirted with in recent elections. Insider is certain the next Government will be lead by either Fine Gael or Fianna Fáil, and the only alternative Taoiseach to Leo Varadkar is Micheal Martin. On present opinion poll figures, Fine Gael may be able to form a Government with support from smaller parties and Independents: the only real option for Fianna Fáil would seem to be a coalition involving Sinn Féin. Assuming Minister Sean Kyne and Dep Hildegarde Naughton are the leading Fine Gael candidates, it is very likely the party will hold its two seats in Galway West. Fine Gael received a total vote of 24 per cent in this constituency at the last election - just below the national party vote of 25.5 per cent. If the opinion polls are to be believed, and FG can remain close to the figures it is now achieving, it should secure a national vote of at least 30 per cent and this should ensure both Fine Gael Galway West TDs are re-elected - if they can split the vote evenly. 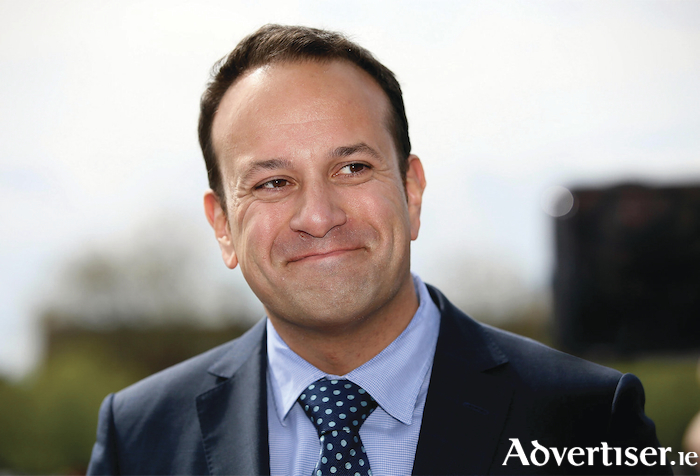 In spite of some recent difficulties, Insider expects Taoiseach Leo Varakdar to remain a strong electoral asset for Fine Gael, particularly with younger voters. An old political truism he would do well to remember is that politicians are often at their most popular when they are at their least visible. Leo needs to take his foot off the publicity pedal a little, and realise he does not have to appear on our TV screens on a nightly basis. For Fianna Fáil, splitting the vote is also the challenge, as the party received the same vote in Galway West in the 2016 General Election as it did nationally. The polls now show it averaging 27 per cent nationally, and this figure would give it a great chance of securing two seats in Galway West. However, the party is still struggling to find a suitable second candidate who can ensure a more even split of the vote with sitting TD Éamon Ó Cúiv. Cllr Peter Keane and Senator Padraig O’Ceidigh are the two names most commonly mentioned as likely running mates for Dep Ó Cúiv, but the selection of either will still leave the party with a difficult vote splitting arrangement to implement. Realistically, their second candidate (and FF should just run two candidates ) will need to achieve close to 10 per cent of the first preference vote to be in with a chance of winning a seat. On recent opinion poll figures, it is difficult to see Labour challenging for a seat, and also difficult to see both Independents - Noel Grealish and Catherine Connolly - return to the next Dail. Independent candidates received a massive 26.7 per cent of the vote in Galway West in the last general election, at a time when they received less than 18 per cent nationally. With national polls now showing this category at between 10 and 12 per cent, holding on to those two seats will prove a very difficult task. Even at this stage, an almighty scrap can be predicted for the final two seats in Galway West for the next general election. Assuming FF can manage its vote, the second Fianna Fail candidate should be involved in this, with the two existing Independent TDs, and Sinn Féin's Cllr Mairead Farrell. Cllr Farrell is well positioned to challenge for a seat for Sinn Féin, but the party hierarchy needs to change tack if they are not to damage her chances. Hopes were high with the election of Dep MaryLou McDonald as party leader that a new chapter could be opened for the present day SF. Those hopes lasted for a shorter time than it took to make her acceptance speech, with her disgraceful ‘up the rebels, tiocfaidh ar la’ remarks. This week Dep McDonald stated she was showing leadership by bringing forward her party’s Ard Fheis to June to allow the party adopt a position on legislation which may come after the referendum vote on the repeal of the Eighth Amendment. Why is the Ard Fheis not brought forward to April to allow the party to adopt a position on the referendum itself? Insider assumes it is because that would require real leadership. Unfortunately, it seems the new SF looks very like the old SF As if that was not enough, this week again we have another Sinn Féin tweetgate, with Sen Maire Devine’s retweet describing murdered prison office, Brian Stack, as a "sadist". The onus is on Cllr Farrell and other young articulate Sinn Féin candidates, who may have something to offer, to put clear water between themselves and this type of disgusting behaviour.